Experience the rich historic culture and traditions of this beautiful city of Rajasthan, proudly known as the Pink City. Enjoy you day while exploring the best of architectural forts and palaces and enjoying Elephant Ride and other activities. 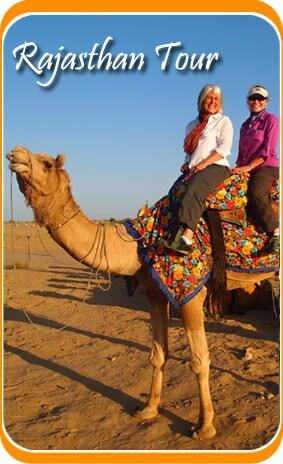 Wake up Early in the morning for a wonderful and unforgettable same day Jaipur (Pink City) Trip by Train. Our representative will pick up you from the pick up point, as per your suggested place. An Enjoyable Trip To Amber Fort Followed By Enthralling Elephant Ride. Amer Fort is the best tourist attraction of Jaipur and the sprawling complex combines both immense fortifications with unexpected beauty and charm. The fort which visitors are able to explore today dates from the 16th century and is situated on a natural ridge 11km north of Jaipur. The opening hours of the City Palace follows the trend of Jaipur of shutting relatively early in the day, the opening hours are from 9:30 until 17:00. 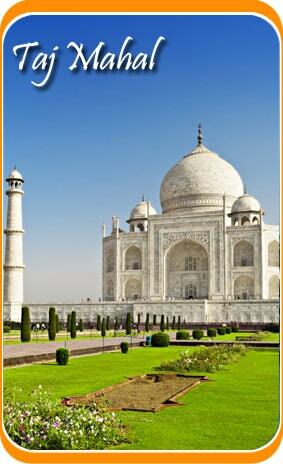 It was constructed by Sawai Jai Singh II between 1729 and 1732 AD. The palace complex comprises of Chandra Mahal and Mubarak Mahal. The Hawa Mahal Jaipur is the beautiful many windowed extension of the City Palace that is said to resemble the honeycomb structure of a bee’s nest. Since the construction of the Hawa Mahal Jaipur in 1799 the building has become the iconic structure of the city and the pink sandstone palace is considered as the finest example of Rajput architecture. To experience the originality, to experience the traditional touch of the glorious past, your stop should be at old city, famously known as the Pink City, which is famous for magnificent palaces. The founder was Sawai Jai Singh II. To offer cordial welcome to Prince of Wales in 1876, the entire city was painted in pink color, which resembles hospitality. The Jantar Mantar is a set of 14 colossal astronomical observatory instruments situated in the heart of Jaipur. These incredibly accurate devices were constructed by Maharaja Jai Singh II, who considered date, star alignment and other celestial movements critical to predicting his fate and fortunes in wars and scheming. Tour Price includes: All sightseeing and transfers by air-conditioned Tata Indigo / Etios/Dezir car in 01 bottle of mineral water per person, English speaking guide for sightseeing in Jaipur, Rickshaw ride in Old city of Jaipur, 01 lunch in local restaurant in Jaipur, Elephant Ride in amer fort, and all applicable taxes. Tour Price doesn’t include:Any hotel accommodation, Entrance fee to monuments, Camera fee, Tips to driver / guide / Representative, Lunch or anything not mentioned in “tour price include” list.